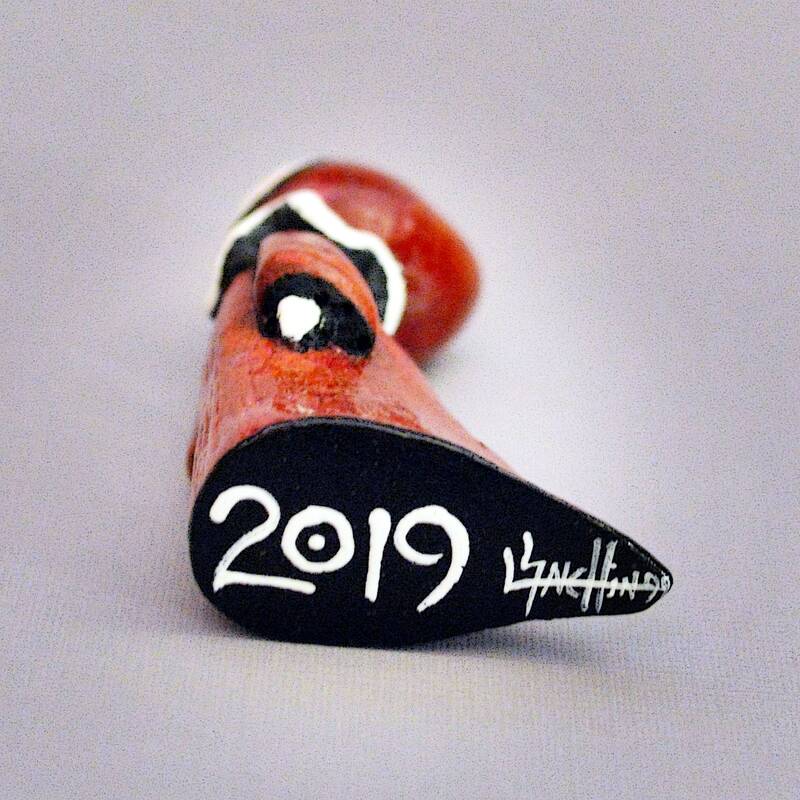 Little RED Poppet 2019 - special introductory price through January 30. 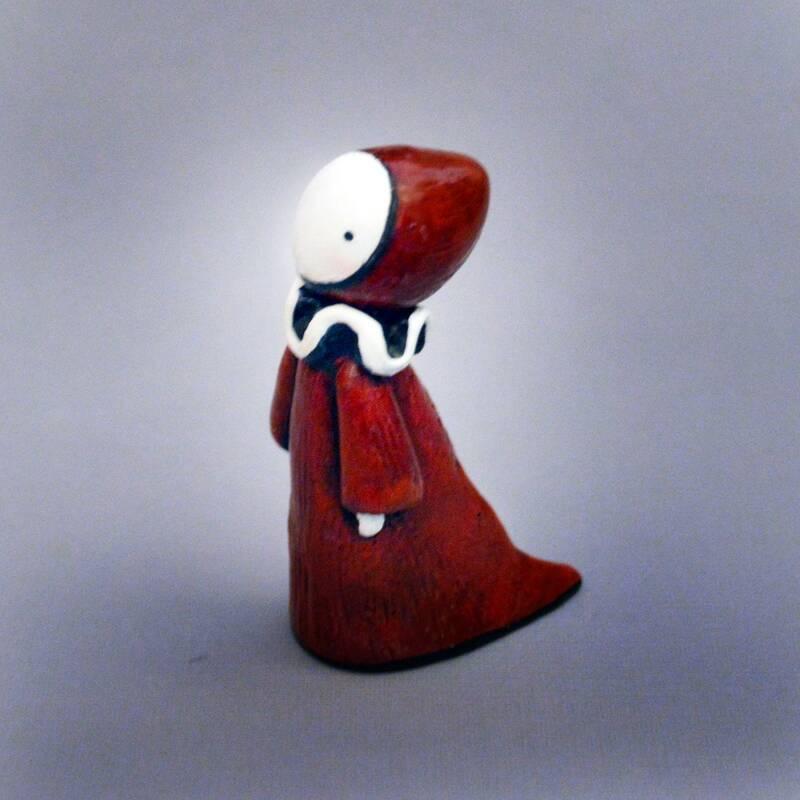 In 2018, Little Red Poppet was about healing. Now, Poppet is stronger, wiser, softer and fully awake - and WATCHING all the silly humans! Each will also be signed on the bottom as shown. I have reasons for this, and they are good reasons. I'll be posting more about that on my Patreon . And a bit more about the evolution of Poppet. I hope you'll join me there. Go to Patreon(dot)com/lisasnellings and you'll find us there. 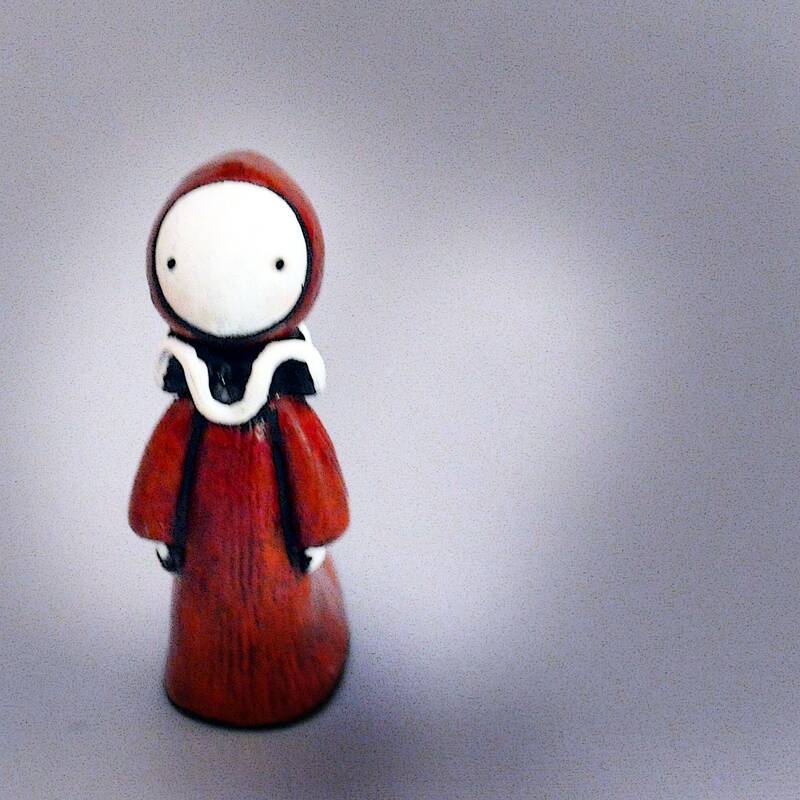 The one that started it all, Little Red Poppet. 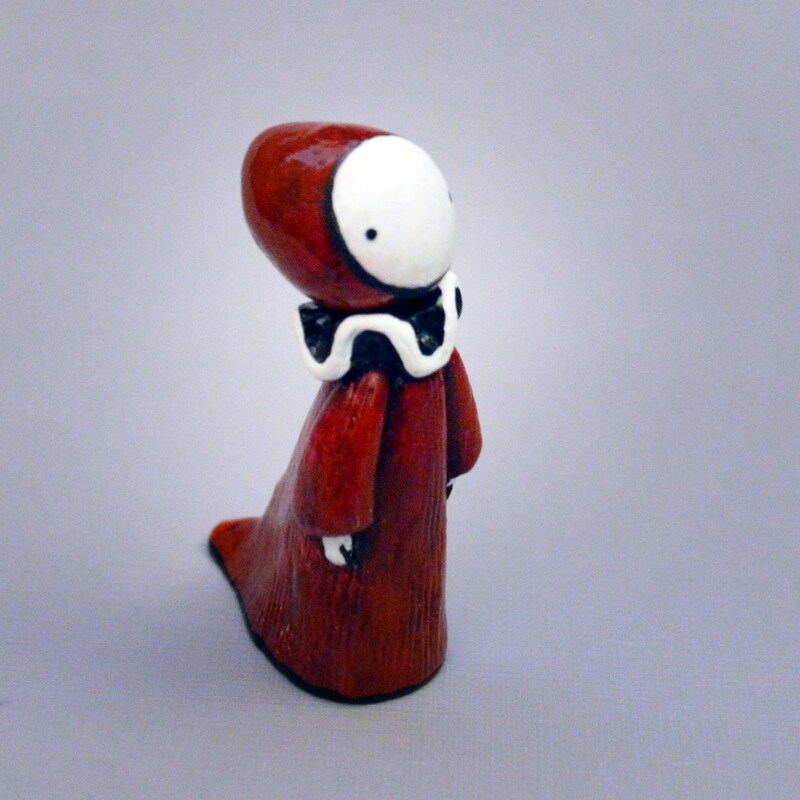 This iconic little Poppet is featured in many of Lisa's major gallery works and publications. Fun in groups and as a little companion, reminding us always to 'take a closer look' at the world around us. 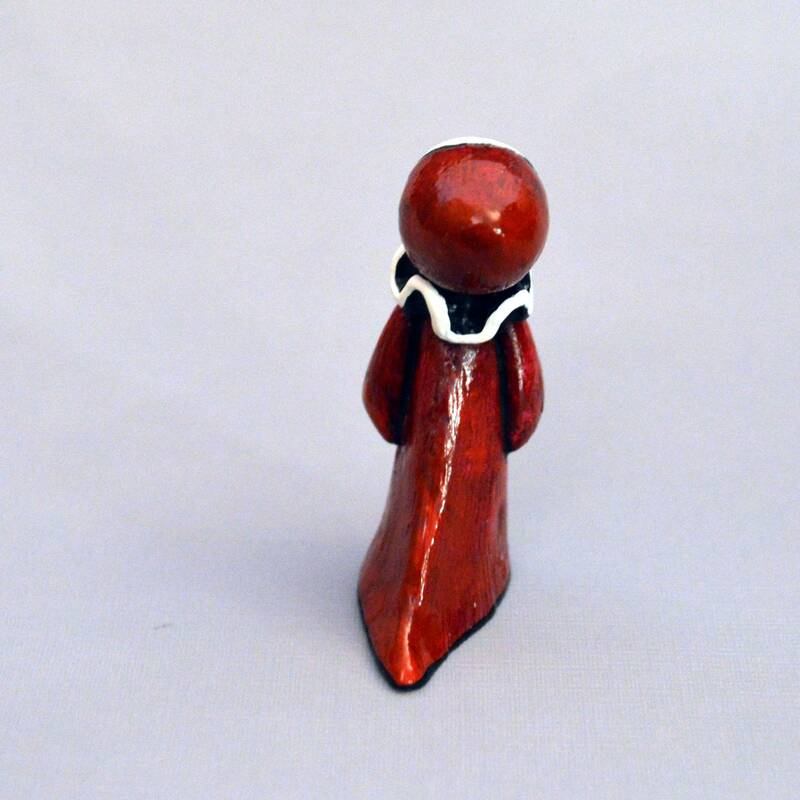 Poppets are of cold cast marble. 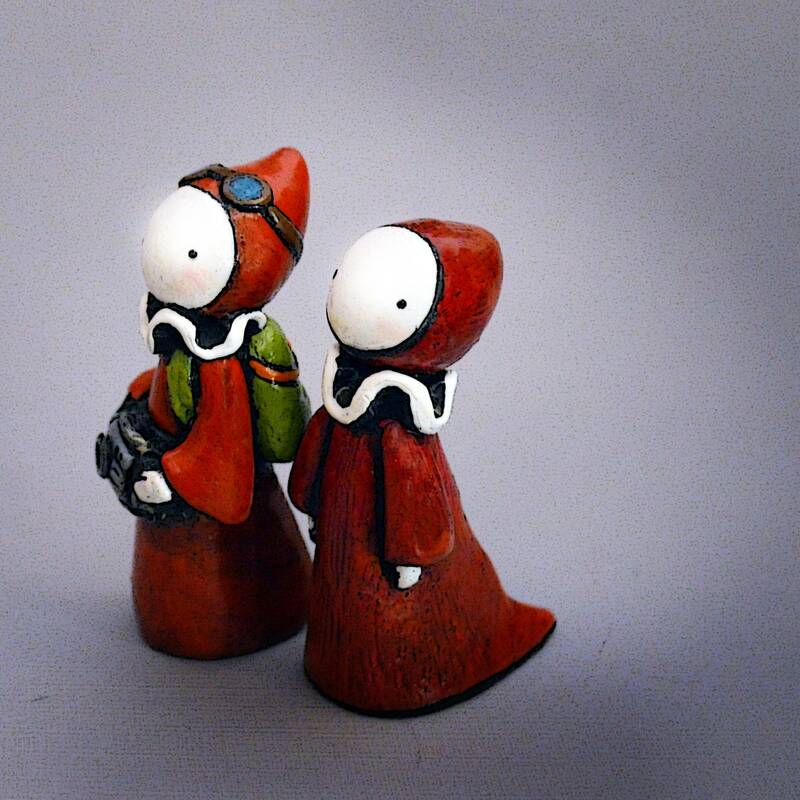 They are two inches tall, even standing on their toes, though we're still not actually sure Poppets have toes. Poppets are hand-painted so that each is slightly different. Poppets are sweet and sometimes just a little strange. Poppets are made with love. If your purchase is a gift or you have some other deadline, please let us know when you purchase! Additional arrangements might be needed and possible additional postage. We want you to get your Poppets and art on time! We generally ship by U.S mail first class. Orders over $150 are shipped via Priority Mail USPS. Other arrangements are made for larger pieces and for rush or gift items on a case by case basis. Please bear in mind that many of the poppets here are 'made to order.' Please allow time for the work to be created. Most often that's no longer than five days, but we're a small studio and things happen. We ship orders from our Etsy store on Tuesdays and Fridays. Custom items take a bit longer, depending on the item.